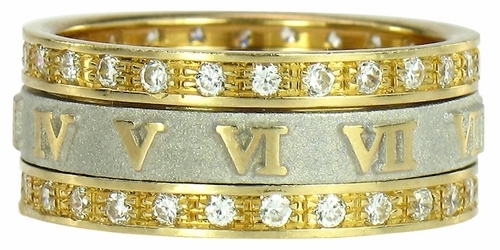 Our Roman Numeral Spinning Pave Set Round Cubic Zirconia Wedding Band is featured in two tone 14k white gold and 14k yellow gold. 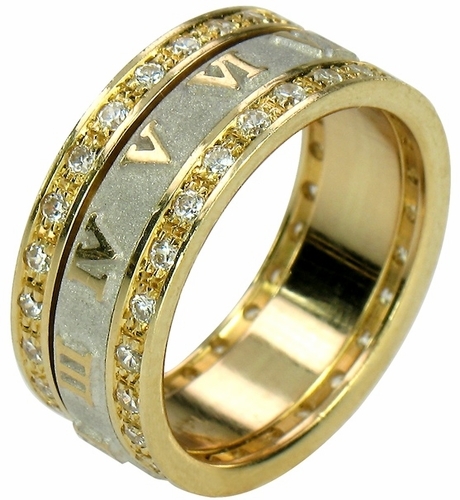 The Roman Ring is a unique band that features a center row of raised roman numerals that spins between two rows of pave set round cubic zirconia. Yes, you read it right. 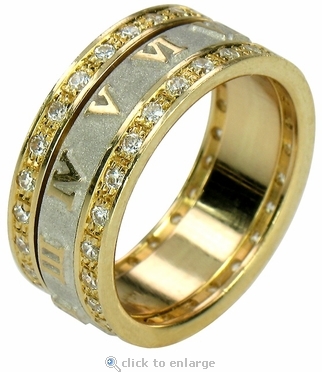 This very unique ring features a CENTER ROW that SPINS! 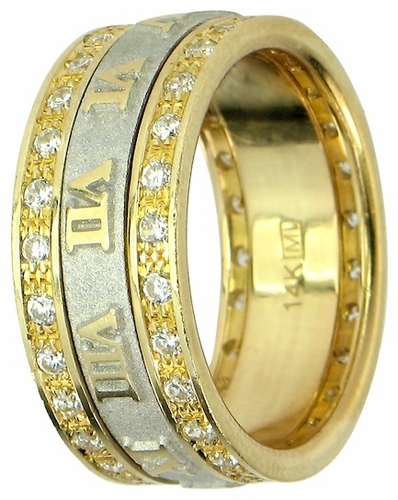 The band measures approximately 8.5mm in width with 1.5 carats in total carat weight of the finest original Russian formula cubic zirconia stones that are hand cut and hand polished.